Despite my family's experience, I remain optimistic; New York has shown that it can be a leader in introducing mental health reforms such as enacting mental health education, Kendra's Law and Timothy's Law. Please help lead people with neurobiological disorders and their families out of this wilderness and ensure that we no longer have to name laws after people failed by the mental health system. As this is going to the final E-News of 2018, we want to begin by wishing all of our readers a joyous holiday season and a happy and healthy 2019. As you will see in this issue, NAMI-NYS is already looking towards 2019 and we have begun projecting our advocacy voice about the importance of enacting our 2019 Action Agenda. In this issue, you will find links to our recent testimony before the NYS Assembly, our appearance on Capital Tonight and information about the Medicare Part D reforms NAMI-NYS called for during our recent advocacy trip to Washington D.C. Excellence in Healthcare Act Expansion bill. Finally, registration is now open for you to participate in the 2019 NAMI-NYS Legislative Advocacy Day on February 12th. We ask you to help us build on our achievements by contributing to our 2018 Giving Tuesday Campaign. Click here to visit our Giving Tuesday page and donate. Together, we can can empower those impacted by mental illness and create a more mentally healthy New York State. Remember, we want to hear from you and the work your affiliate is doing. Please email stories to Matthew@naminys.org and send save the date notices to Christine@naminys.org . On Thursday December 6th, Assemblywoman Aileen Gunther, Chair of the Mental Health Committee, held a special hearing on the 2019/20 Mental Hygiene budget. NAMI-NYS's Associate Director, Public Affairs Matthew Shapiro detailed our budget priorities and the need to broaden access to services, while our Government Affairs Chair Evelyne Tropper explained the difficulties her family has had trying to find appropriate services for her adult daughter living with schizophrenia. In describing the feelings of families struggling to guide their loved ones towards recovery Evelyne said, " We feel stymied and let down that psychiatric patients are the last frontier of discrimination. There are now more people with psychiatric disorders in jails, prisons and on the streets than in treatment. We as a society should be ashamed by this and no family should have to struggle and watch their loved ones suffer the way we have. It is heartbreaking and it is wrong and I know we can do better, we must do better; my daughter and the thousands like her deserve the care needed to live happy and healthy lives." Evelyne concluded by adding, " Despite my family's experience, I remain optimistic; New York has shown that it can be a leader in introducing mental health reforms such as enacting mental health education, Kendra's Law and Timothy's Law. Please help lead people with neurobiological disorders and their families out of this wilderness and ensure that we no longer have to name laws after people failed by the mental health system." Click here to read NAMI-NYS's Testimony. Click here to watch the full hearing, you can fast forward to 1:28 to see NAMI-NYS's testimony. Also on December 6th, Matthew Shapiro was also invited to be a guest on Spectrum's News Capital Tonight program to discuss NAMI-NYS's 2019 Action Agenda and budget priorities. Specifically Matthew detailed the need to invest in mental health housing with wraparound support services, ensuring there is a fully funded mental health workforce and how there needs to be a full range of community-based services to meet the needs of people on all points of the spectrum of psychiatric disorders. On November 28-29th, NAMI-NYS turned our advocacy focus to federal issues as we were in Washington D.C. to voice our concerns about Medicare Part D. Specifically we focused on issues around the insurers' liability in the coverage gap, or the Donut-Hole portion of the program and our concern that more of a burden will be pushed onto the consumer, as well as the soon to expire controls over expanding the rates of the catastrophic threshold, which is the point at which a patient has incurred enough costs to enter catastrophic coverage. Click here to learn more about these issues. NAMI-NYS met with the offices of Senator Chuck Schumer and House Representatives Grace Meng, Elise Stefanik, Yvette Clark, Hakeem Jefferies and Tom Reed. On December 10th, NAMI NYC Metro Executive Director Matt Kudish kicked off the first of a 2-night community organizing training in partnership with Manhattan Together. The goal of the the 2-night training is to provide an overview of key concepts and critical components essential to building strong community groups and connecting those groups into a broad based organization necessary to create power, specifically when it comes to addressing, changing, or creating mental health-related legislation policy. On November 1st, NAMI Queens/Nassau held a FaithNet event, Conversations with Faith Leaders & Community: Ending the Stigma through Personal Stories of Recovery at Temple Sinai in Roslyn Heights. The inspiring evening was a tremendous success, as many people shared their stories of recovery and hope. On December 12th, NAMI Westchester held an Ending the Silence presentation at the Boys and Girls Club of Mt. Vernon. The presentation, done in partnership with the Links and Jack and Jill, featured presentations by NAMI Westchester Executive Director Sharon McCarthy and young adults Patrice Wiley and Ian Gray. One of the highlights of the 2018 NAMI-NYS Education Conference was the session where 2018 NAMI-NYS Young Leader Award winner Zak Sandler recalled his battle with mania and performed songs from his musical Inside My Head, including the song I Am Me. Zak also recently performed the song as part of a This is My Brave show. You can click here to watch the performance, though you must log in to Facebook to watch. On December 20th, Zak will also be performing in the Tenth Anniversary Winter Rhythms New Musical Theater Songwriters Showcase at Urban Stages in New York City. Click here for more information. 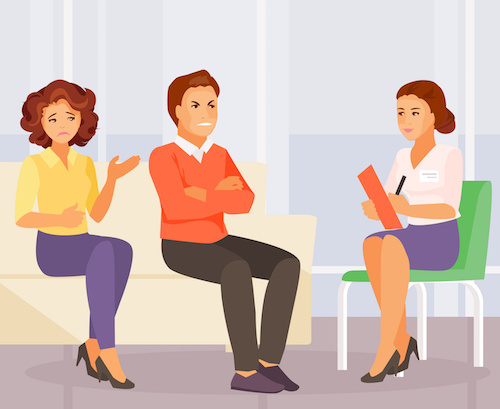 A recent NAMI blog by Amanda C. Dequel offers information and tips on family therapy, which may be a possible treatment for mending tu rbulent relationships. The blog covers how to open up and give family therapy a chance, how to find the right therapist, and how to have effective sessions. Daquel encourages people struggling with difficult relationships to consider trying family thera py, stating: " There is nothing to fear about family therapy-it's a safe place to work through negative feelings and move forward." Earlier this week, it was announced that State Senator David Carlucci (Rockland County) was appointed as chair of the Senate's Mental Health and Developmental Disabilities Committee. This is an exciting news as Senator Carlucci did a stellar job when he previously chaired the committee and he has remained a steadfast advocate for mental health and has worked with NAMI-NYS on many issues. We look forward to working with Senator Carlucci and his staff to create a more mentally healthy New York State. We also want to express our gratitude to outgoing chair Senator Rob Ortt for his service. "We Need a National Taskforce on Black Boys and Suicide"
On December 6th, Rep. Bonnie Watson Coleman (D, N.J.) held a congressional staff briefing at the U.S. Capitol to examine the suicide rate of Black children ages 5-11. The suicide rate among Black children has doubled over the past generation, with boys accounting for most of the deaths. The rate of suicide is roughly twice as high as for Black children in that age group than it is for White children. During the hearing Michael A. Lindsey PhD, MSW, MPH, a child and adolescent mental health services researcher who is executive director of the McSilver Institute for Poverty Policy and Research at New York University, stated, "What we need is to create a national taskforce to really look at this issue for that particular demographic and really try to understand the reasons why black boys are committing suicide at higher rates than any other group in that age category." Dr. Lindsey called for the taskforce during a discussion titled, "Racial Disparity in Mental Health - the Need for Inclusion in Research and Resources," that was moderated by Dr. Alfiee Breland-Noble, PhD, MHSc, Project Director of AAKOMA (and who has previously presented at the NAMI-NYS Education Conference). Click here to read more about the hearing and Dr. Lindsey's comments. A recent Wall Street Journal article examines the crisis response practices in E ugene, Oregon. In Eugene, mental health workers a re the first to arrive on the scene, teamed with medics and supplied with blankets, water, and medical supplies. These responders are from a non-profit program called Cahoots. Launched by social activists in 1989, Cahoots handled 17% of the 96,115 calls for service made to Eugene police last year. While many police departments across the country are working to change their practices and provide crisis training for the police officers,Cahoots believes their model is both more humane and cost-effective. "When I'm talking to a more liberal group of people, I'll make the argument it's the compassionate thing to do, it's the humane thing to do," said Manning Walker, a 35-year-old Cahoots medic and crisis worker. "When I'm talking to a conservative group, I'll make the argument that it's the fiscally conservative thing to do because it's cheaper for us to do this than for the police and firefighters." "Every Fight Needs A Voice"
Andrew Malekoff, Executive Director of the North Shore Child & Family Guidance Center and a recipient of one of the four NAMI-NYS Parity@10 Awards, recently wrote an opinion piece in the Island Now about the lack of parity enforcement. Andrew harked back to the NAMI-NYS Leaders of Mental Health Awareness celebrations by using the night's theme of "every fight needs a voice" as the title of the opinion piece and using the story of follow Parity@10 honoree Tom O'Clair to begin the article. The piece also details the findings of North Shore Child & Family Guidance Center's Project Access report and how th e results "revealed conditions similar to what the O'Clair family fought against in the early 2000's and showed that discrimination against people living with mental illness and substance use disorders persist." Click here to watch the Mental Health Now Episode on Parity featuring Andrew. Click here to view this week's Action Alert on Parity. This Saturday marks the end of the run of Bruce Springsteen's landmark Broadway show Springsteen on Broadway. Following the conclusion of the show, Netflix is set to release the filmed version of the show. Leading up to the Netflix release, Esquire Magazine did a feature on the artist and much of the focus of the piece revolved around Springsteen's mental health. Reporter Michael Haney says, "For more than fifty years, he's traveled deep into the heart of America. But with his new Netflix special Bruce Springsteen reveals that his bravest journey has been wrestling with his own mental health." The article delves into Springsteen's troubled childhood, with a father who saw him as weak and refused to accept him. Facing this rejection, Springsteen began to mimic his father until he was unsure of who he himself was. Springsteen also discuses how he later realized that his father had schizophrenia and how he hoped to create his own identity as he fought with the question "Will I be confined by my DNA, or will I define who I am?" He also discusses his two major breakdowns and serious battles with depression and how the support of his wife and children and therapy helped him face these issues. A recent study took data from the National Ambulatory Medical Care Survey to examine whether treatment by psychiatrists who accepted private insurance differed from the treatment of those who did not. The study found that "Compared with psychiatrists accepting privately insured patients, those not accepting privately insured patients had fewer visits with patients with serious mental illness , a higher proportion of visits lasting longer than 30 minutes, and their patients were more likely to have had 10 or more visits in the past 12 months." Treatments including psychotherapy showed no difference in the proportion of visits. The conclusion of this study showed that psychiatrists with low rates of insurance acceptance may have an effect on those in need of service. Click here to read the full findings of the research study. Are Childhood Infections a Precursor to Mental Illness? NPR recently looked at a study published in JAMA psychiatry examining the connection between some infections and mental illness. The findings show that mental illness may be linked to the immune system and inflammatory responses in the body, possibly leading to a higher risk of mental illness in children who had serious infections. Researchers also concluded that "the more the infections, and the more severe the infections, then the risk increased as well." 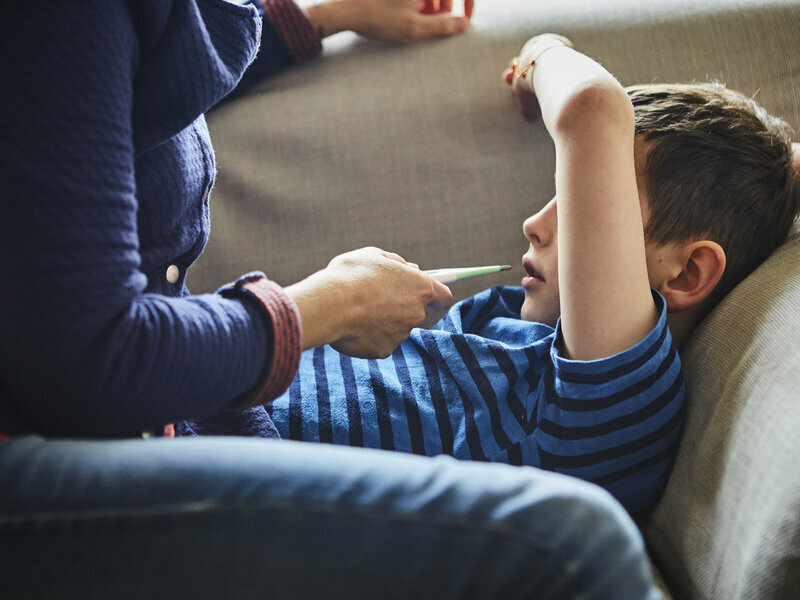 Dr Kohler-Forsberg explains the majority of children who develop an infection will not go on to have a mental illness, but encourages parents to watch for any warning signs and immediately seek help if necessary. USA Today is recently wrote about how suicide has become a major public health concern and the efforts of the Federal Government's leading health research institutes: the National Institutes of Health (NIH) and National Institute of Mental Health (NIMH) to reduce suicide. The article states that NIH an nually "spends an estimated $68 million on suicide and suicide prevention research and an additional $2.7 billion on mental health research". Research studies by NIMH looked into possible drug treatment Ketamine, universal screening for suicide risk in emergency rooms, and using artificial intelligence techniques to predict suicide risk in patients. These studies aim to provide evidence-based possibilities to combat the tragedy of suicide. Click here to register for the 2019 NAMI-NYS Legislative Action Day on February 12th. Click here to view Facebook page and more information coming soon. JULY 29 2019- NAMI Sullivan County Presents "Every Brilliant Thing"
Please contact your local affiliate program le aders for more information and how to enroll. Regional training's and Support Group training's will be announced soon.